Yesterday when /pnr/post/4295435 was stamped as Confirmed I reached my long awaited milestone of 100 Correct Predictions with 100% Accuracy for a Particular train. PNRs in IRI have dried out a lot still due to Moderator Sir's effort, some PNRs do come and I got this opportunity to achieve the record. 3 guys, Rahul Vatsa, Vishwanath Joshi and Ratnakar helped me a lot as they kept me updating with the latest status etc of the PNRs of Shramjeevi as the PNRs can't be refreshed like before. Thank you guys. Happy Easter to all of you. Thank you. 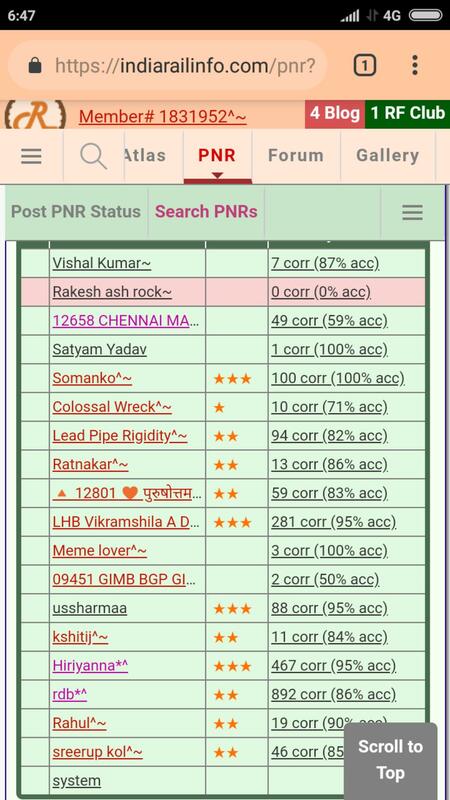 When everything was normal we used to get 1000+ PNRs daily. I reached 89/100% very easily. After that when PNRs were blocked we used to have 20-30 PNRs and I struggled. Things have improved, hope to see more in the coming days. Yep. Atleast 600-700 were extremely normal. Festive season around 1500-1600. Itna access hata diya fir bhi CRIS wahi ka wahi atka pada hai. Chalta hi nahi site. Hamesha error..
मध्य रेल्वेवरील मुंबई विभागात ठाणेरेल्वेस्थानकाला यंदाचा स्वच्छतेचा ‘बेस्ट रेल्वेस्टेशनचा पुरस्कार’ मिळाला आहे. ठाणे हे एकमेव रेल्वेस्टेशन ए-1 या श्रेणीत होते. तसेच ठाण्यातील उपप्रबंधक आणि काटेवाला अशा दोघांना वैयक्तिक उत्कृष्ट सेवेबद्दल डीआरएम असे पुरस्कार मिळाले आहेत. विशेष म्हणजे यापूर्वी उत्कृष्ट स्वच्छतेसाठी ठाण्याला 2004 साली पुरस्कार मिळाला होता. भारतीय रेल्वेच्या 166 व्या वर्धापन दिनी हा पुरस्कार मिळाल्याने ठाणे रेल्वेस्थानकातील स्वच्छता राखण्याची जबाबदारी आणखी वाढली आहे. पुरस्कार देऊन गौरवण्यात आले. त्यामध्ये ठाणे स्टेशनला बेस्ट स्टेशनचा पुरस्कार मिळाला आहे. हा पुरस्कार ठाणो रेल्वेस्थानकाचे उपप्रबंधक रवी नांदूरकर यांनी मध्य रेल्वेचे डीआरएम संजयकुमार जैन यांच्या हस्ते, तर एडीआरएम विद्याधर माळेगावकर, पीयूष ककड, आशुतोष गुप्ता आदी मान्यवरांच्या उपस्थितीत स्वीकारला. 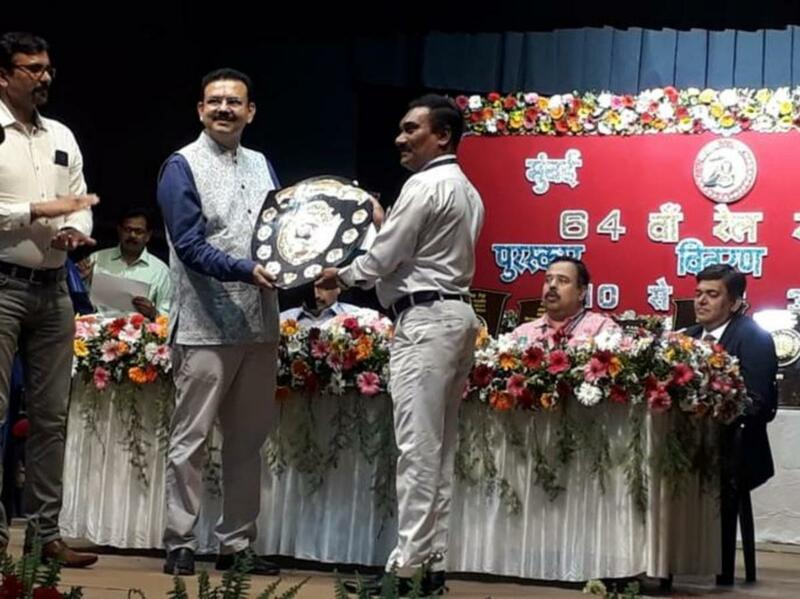 शिल्ड आणि रोख दोन हजार रुपये असे या पुरस्काराचे स्वरूप आहे. तसेच ठाण्याच्या उपप्रबंधक अपर्णा देवधर आणि काटेवाला मनीषा पाटले यांना उत्कृष्ट सेवेबद्दल उत्कृष्ट डीआरएम हा पुरस्काराने गौरवण्यात आले आहे. Can you tell how to write 'Macros' in Mircrosoft Word 2007? There is a function of "Macros' in word. Can you please look into this and help ? 1. start a macro recording. 2. start manually typing, making changes, etc. till your job is done. Thereafter, when you "play the macro", it will automatically duplicate whatever key strokes you recorded - this way you do not have to tediously do the same typing again. In other words, all your manual typing that you recorded earlier, is automatically played back. If you want anything more complicated, then you would need to read the manual, search on the internet, etc. I want them to be alphabetized. Here first thing I gathered from 'studying' net, that these paragraph will have to be broken into words, and Horizontally. Cursor end of word> Enter>Cursor end of word> Enter>Cursor end of word> Enter> ... and once the paragraph is consumed , Select the whole Text, then next task is to go to "Home" and "Sort" will complete the task. then >save>name? >is final task. Here my question/problem is I can copy a paragraph on to word page, but recording or macros is not working. So I need to get help in this. Means too has to have means? Today is 16th April. 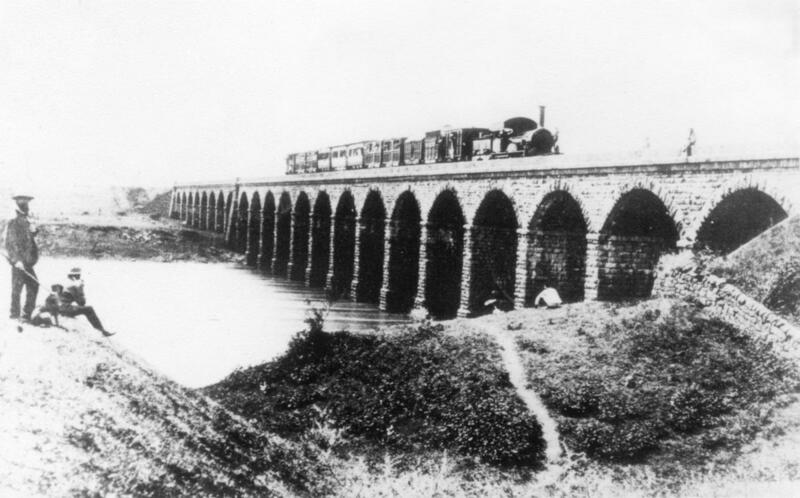 166 years ago, on this day, the 1st passenger train ran from Bombay to Thane(34 km) with 400 passengers. NCRly extends greetings to all Indians, especially all rail users on this occasion. 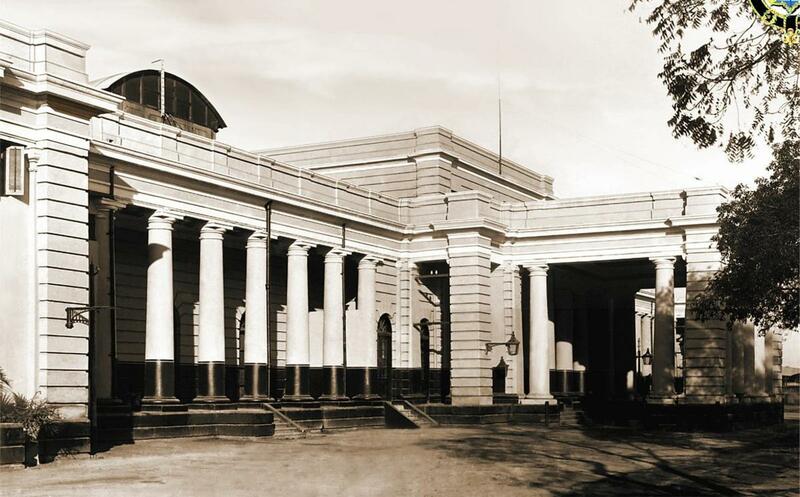 (Pic of 1st train & two nostalgic pics of old Allahabad & Kanpur stns). Sorry for nitpicking. The first photo is not that of the first train in India. This was a picture taken in 1855 at the Dapoorie viaduct. 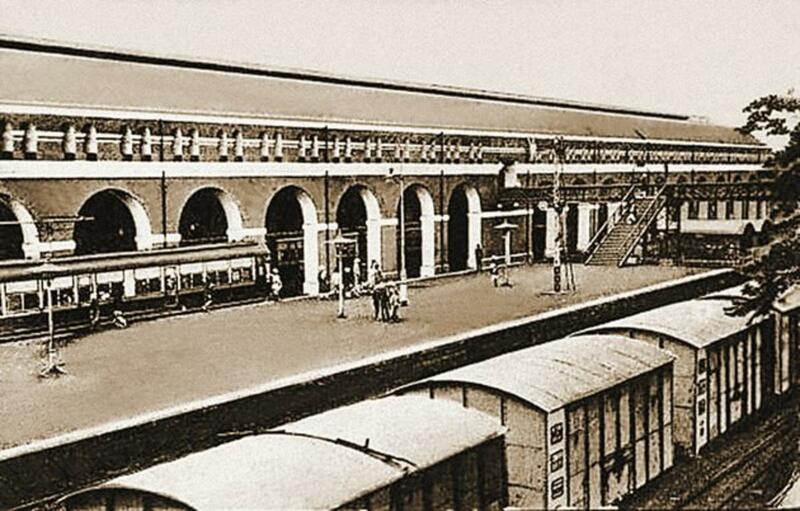 The first train had 14 carriages and 3 locomotives, which is very different from what we see in this photo. I post from source given. DRM's Transfer & Posting Orders April 2019.